I just finished reading Vancouver Matters a book in which artists, architects, and urban planners presents the city of Vancouver through a variety of uncharacteristic urban elements as a “counterpoint to the highly calculated and constructed mythologies of the city.” As a relatively new comer to the West Coast, there have been a number of unique urban elements that I have observed that are particular to Vancouver. Many of these urban features may seem banal and might not even been “seen” by residents but they add to and define the West Coast landscape. 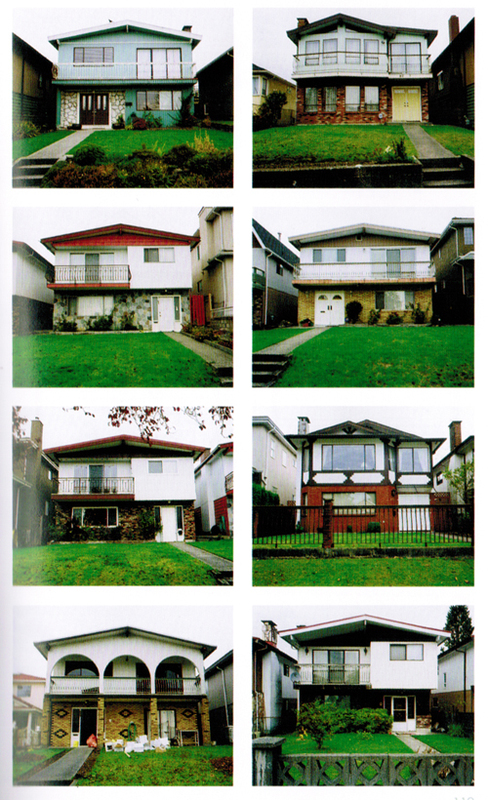 Many of the chapters examine material elements within Vancouver that are ubiquitous to its landscape and explores the different ways of looking at the city by reframing these elements and allowing the “specificity of the material condition to inform a particular” engagement with Vancouver. Each chapter reveals a hidden feature and are as follows: Andesite, Blackberry, Freeway, Grass, Hedge, Heritage, Horizon, Iconography, Intimacy, Residue, Stucco, Sugar, Trees, Veil, View, and Water. 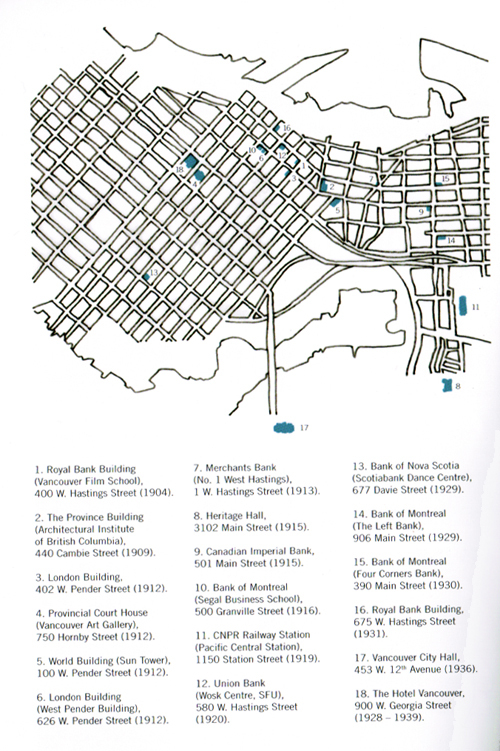 I won’t be highlighting all of the chapters but wanted to speak to the ones that struck me as unique to Vancouver. 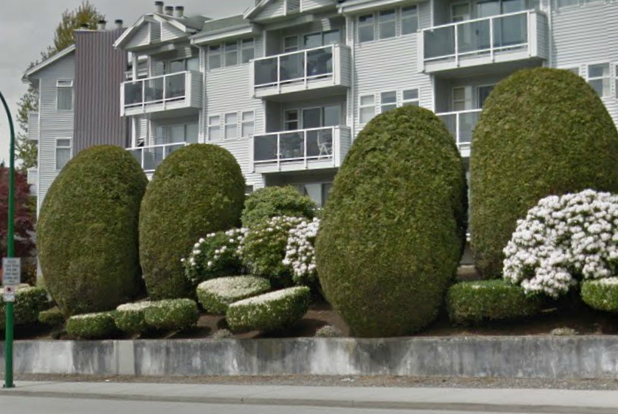 Vancouver has a temperate climate, which is really great for growing all types of greenery. Infact, it has amazed me how green the city remains during the winter months because of the many plants and shrubs that don’t lose leaves and the moss, algae and lichen that coats a lot of natural and man made surfaces. I am not sure if it was the company that my strata hired to manicure the hedges infront of my place at an un-godly hour or the fact that when the leaves fell and revealed all the remaining evergreen during the winter months but the ‘manicured’ bushes seemed to have multiplied. I am not sure why hedge grooming is taken to such an extreme out here but the hedges are over groomed and continually remind me of poodle show dogs. 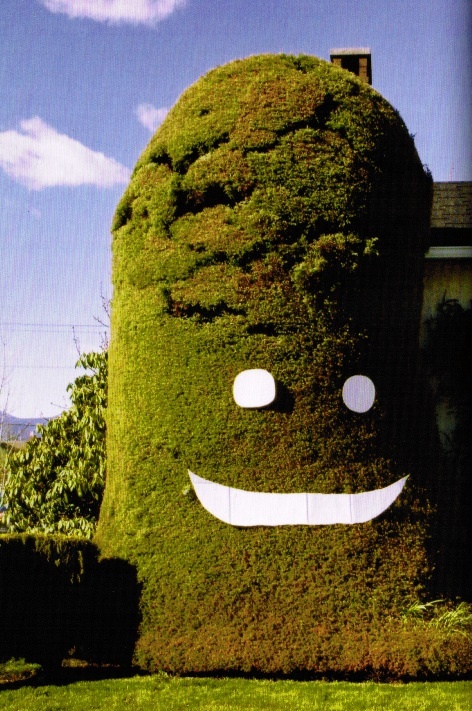 Artist Lyndsay Sung revealed this anthropomorphic grooming tendency in her video by adding happy faces on the hedges. The hollow tree is synonymous with Stanley Park. 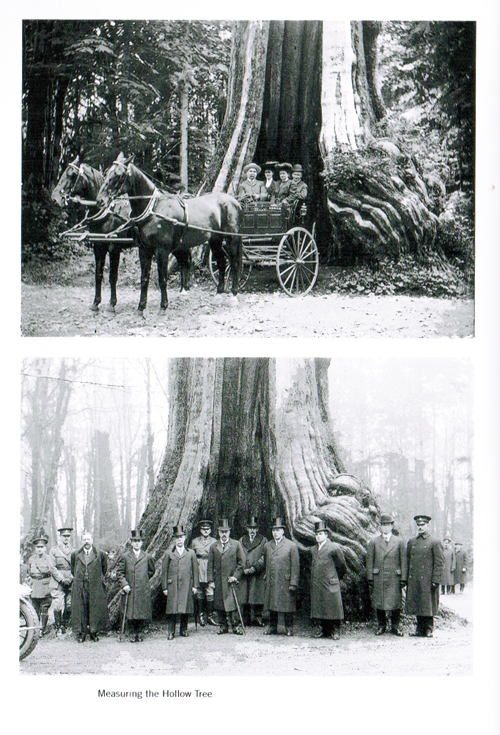 Many Vancouver residents have had their picture taken in the Hollow Tree which serves as a landmark, not only to the park, but as a tourist attraction since the Park was first opened in 1888. 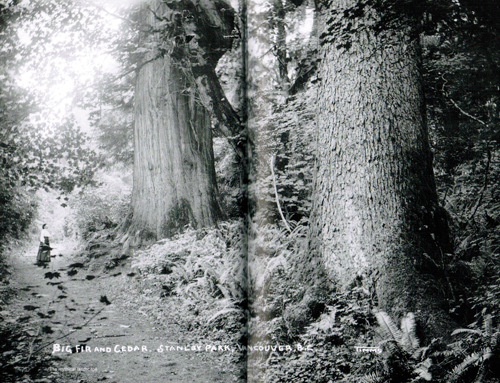 James Eidse argues that while the density of trees in Stanley Park camouflage the park’s interior from its coastline edge, the hollow tree’s “circumambulation turns in on itself” and shifts the focus from an exterior gaze to an interior one. 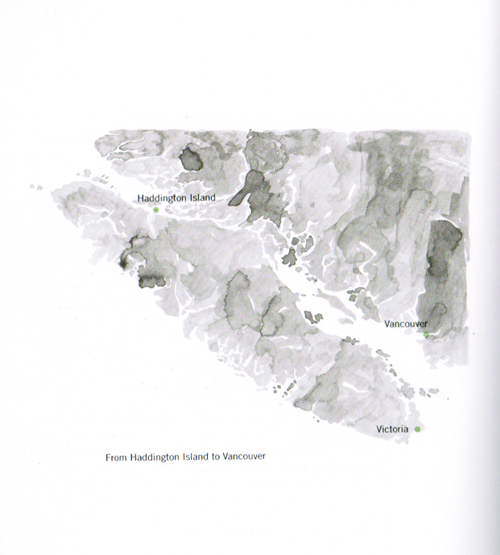 Haddington Island andesite is a grey fine-grained volcanic rock that was used to surface buildings in Vancouver from 1890’s to the late 1930’s. The andesite was used instead of sandstone because of its uniform grey colour, relative softness, and its resistant to cracking, splintering and staining in saline marine climate. 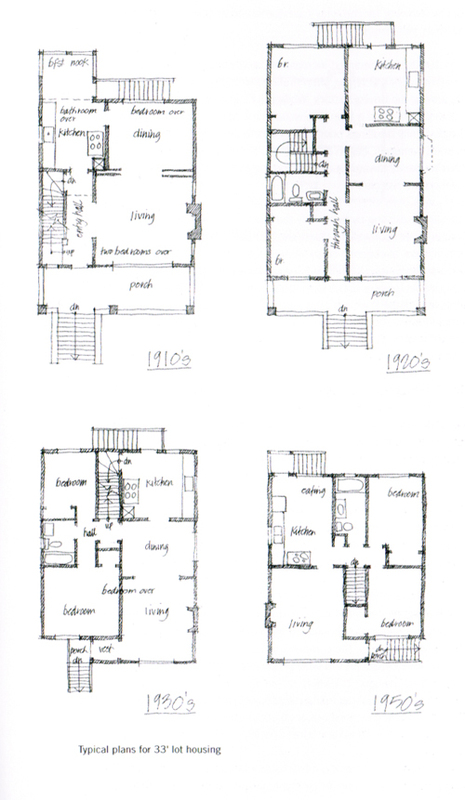 I find Annabel Vaughan and Rob Brownie ‘s project particular interesting because they produced a map of buildings based on their material commonality. 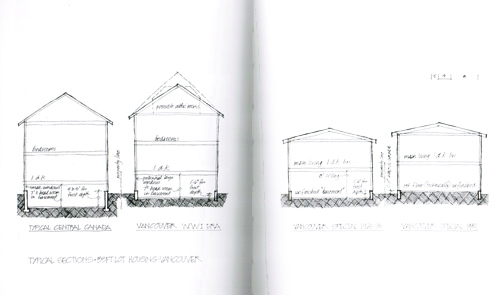 Kenneth Terriss focuses on the ‘Vancouver Special’ a housing style that was popularized in the 1950’s. 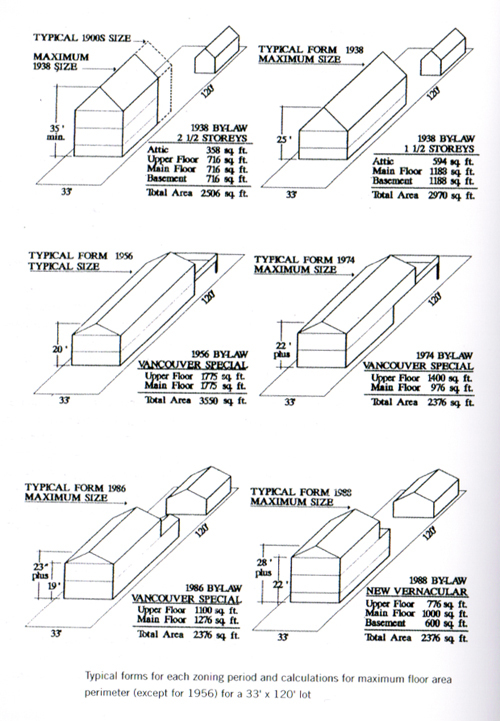 The defining features were “simple two storey stucco box, gable roof facing [that faced] the street with a very shallow pitch, entrance at ground level, nominal decorative stone or brick facing, and a narrow balcony with an aluminum railing to dress-up the street facade.” The Vancouver Special is an example of how local architectural specificity can define a city’s existence. 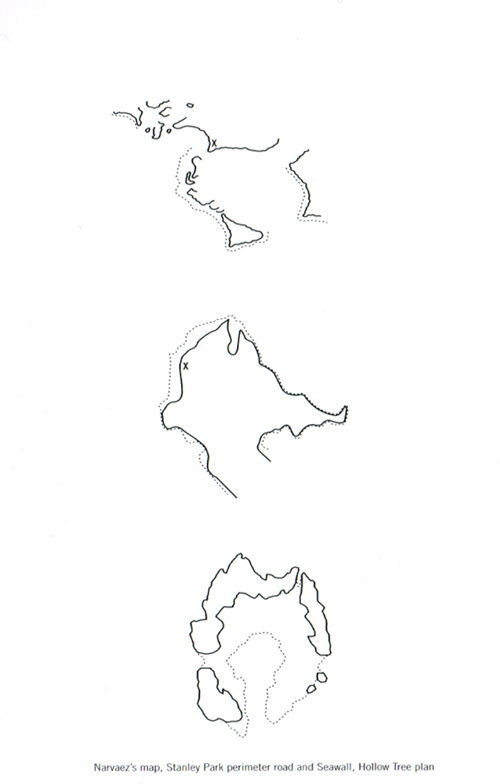 Reblogged this on Critical Design.